Present state: Although the station has been demolished, a small brick building still stands in the former goods yard, this was probably the coal office. Notes: The station was opened as Overton and was renamed Orton Waterville on 1.8.1913. 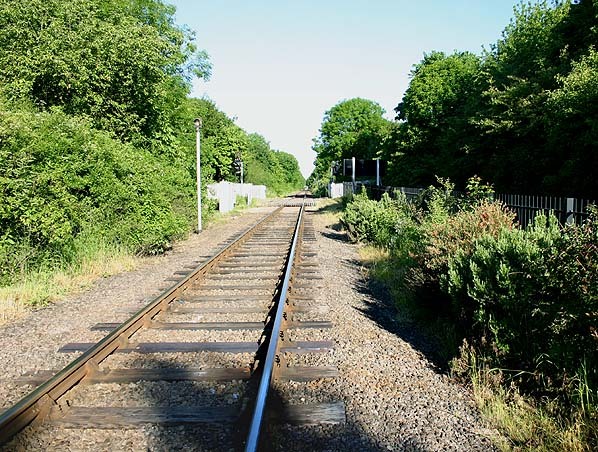 With the opening of the Nene Valley Steam Railway in 1977 a new station called Ferry Meadows was opened immediately east of Orton Waterville to serve the Nene Country Park. The station building is the original Great Northern goods office from Fletton Yard on the East Coast Main Line. 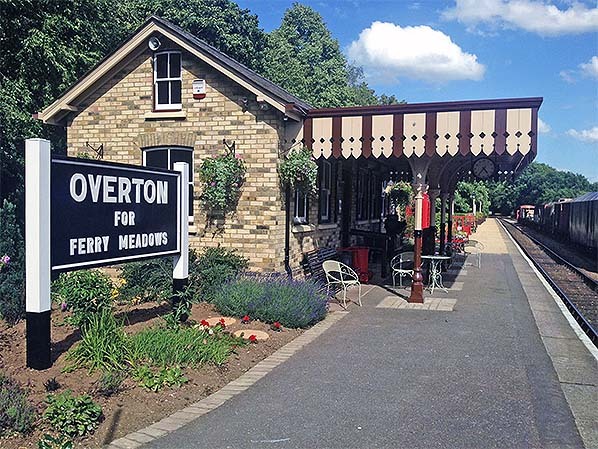 The station has now been renamed Overton for Ferry Meadows on 1 June 2017 as part of the Nene Valley Railway's 40th anniversary celebrations. 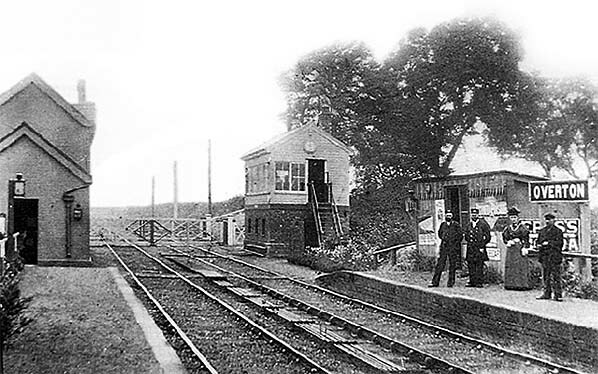 Overeton station looking west circa first decade of the 2oth century. Station staff stand in front of the down platform waiting shelter, the lady is probably the stationmaster's wife. There was a similar shelter on the up side behind the photographer. 1889 1:2,500 OS map shoes the layout of the station and goods yard. 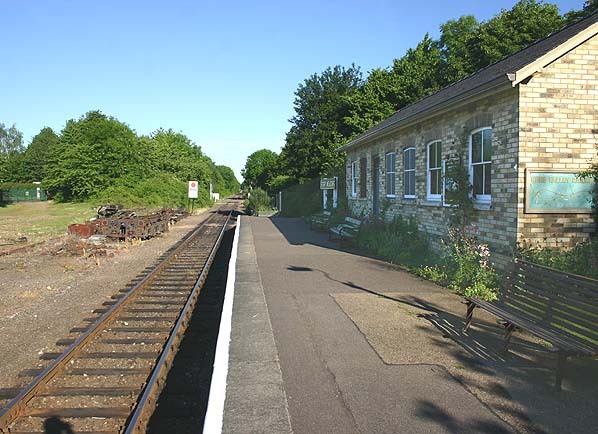 The main station building which incorporates the stationmaster's house is on the up side adjacent to the level crossing. A waiting shelter was provided on both platforms. The goods yard comprised a single siding running alongside a dock at the back of the up platform. The signal box is at the back of the stationmaster's house. Orton Waterville Station looking west in May 1960. Railwaymen continued to use the station until at least June 1962. Ferry Meadows Station looking west in June 2006. 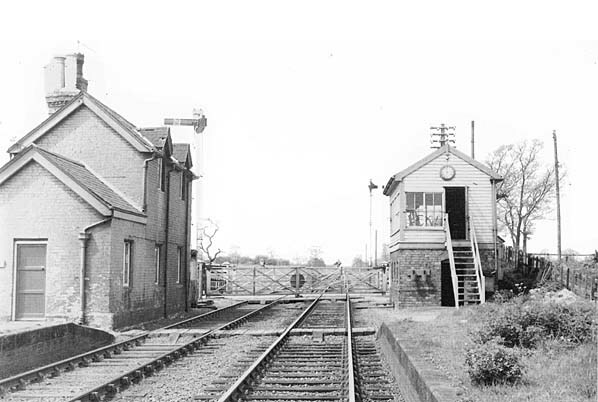 Orton Waterville Station was sited beyond the Ferry Meadows platform just before the level crossing. Ferry Meadows station looking east towards Peterborough at dusk in summer 2017. Photo by Adam Paice, stationmaster at the station. Overton station looking east towards Peterborough in June 2017, shortly after the station was renamed from Ferry Meadows. The very fine newly completed canopy is seen. 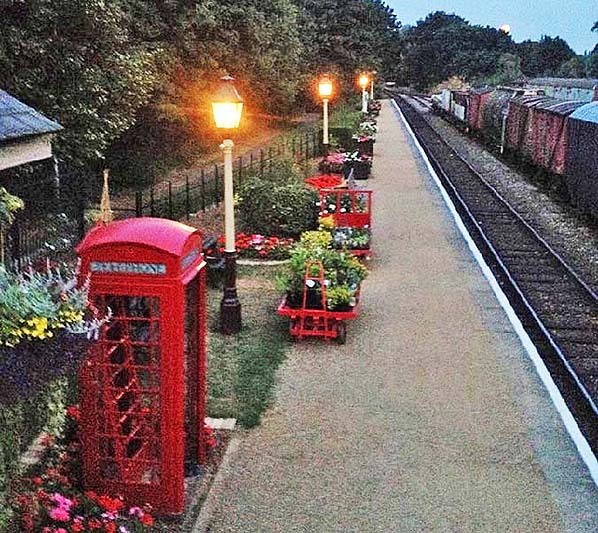 Photo by Adam Paice, stationmaster at Overton.